Coaching is the lifeblood of any sporting program. Without quality individuals being willing to give up their time to invest in helping young athletes and to be role models for young people, programs will not succeed. Just as the quality of a school teacher determines the success and future of their students, so to do coaches for basketball associations. 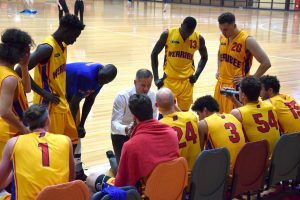 Werribee Basketball is heavily invested in improving the quality and quantity of coaches available at all levels of the game from grass roots, to Big V and beyond. The WBA is committed to having a clear coaching pathway to provide individuals with opportunities to work, learn, develop and lead at all levels. Werribee Basketball engages heavily in the school community within Wyndham region. Coaches promote the sport of basketball as well as healthy living and act as role models for school students. Aussie Hoops is a nationally accredited program by Basketball Australia for 5-10 year olds. It is an introductory program that aims to teach athletes the basic skills and rules of the game in a safe, fun and positive environment. 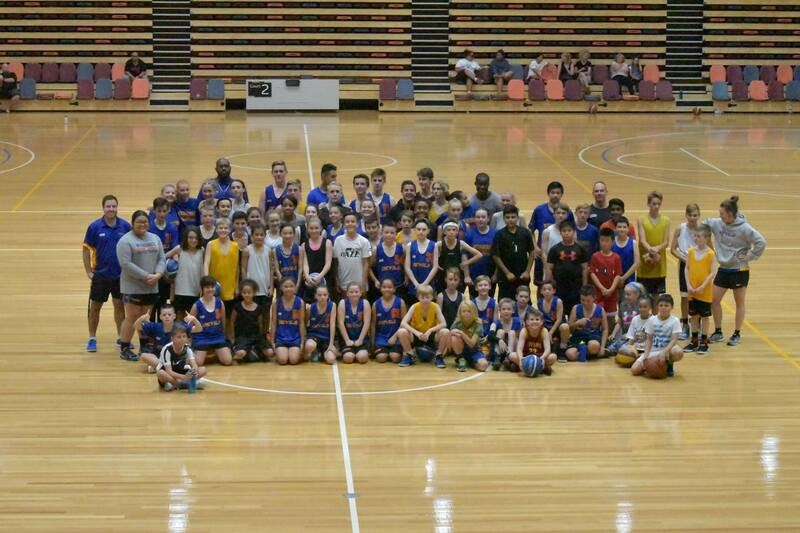 The WBA proudly runs a number of Aussie Hoops sessions. In addition to running ongoing programs during school terms, the WBA also run holiday camps in the grass roots space. The camps include Future Stars, Domestic Shooting and Game Play. 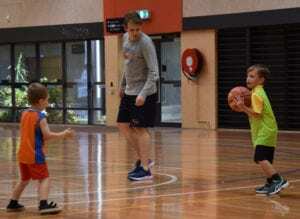 Werribee Basketball operates junior domestic on Saturdays, Tuesdays and Fridays during school terms. Each team requires a coach and most domestic club teams train once a week, mid-week. The DDP is a structured development program that runs during school terms for athletes who play domestic basketball in age groups U/10 to U/16. The DDP curriculum is set by the Player & Coach Development Manager and is implemented by experienced coaches, including many Werribee Devils Junior & Senior Representative coaches. The aim of the DDP is to help bridge the gap between domestic and representative basketball for players & coaches alike. Werribee All-Abilities Basketball runs programs and fields teams in All-Abilities Representative Competitions. To find out more about coaching in the All-Abilities programs go to Werribee All Abilities Basketball Club Inc. Facebook page. The Werribee Devils Roller Devils is our wheelchair basketball program. Sessions currently run on Thursday nights at Eagle Stadium. Coaches do not need experience coaching or playing Wheelchair basketball previously to get involved. The WBA junior representative teams play in the Victorian Junior Basketball League (VJBL). The VJBL encompasses teams from across greater Melbourne and games are held each Friday night. Junior Representative teams train twice a week, usually Sunday morning and a mid-week session. 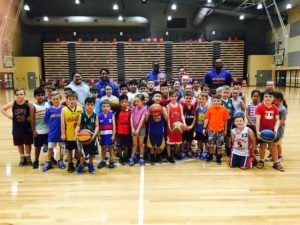 In addition to running a host of Holiday Camps in the Grass Roots & Domestic space, the WBA also provide Elite Holiday Camps for athletes who play VJBL Representative Basketball. The WBA run Elite Shooting Camps, Rep Ready Camps which often include high level guest coaches to run high performance programming during the school holidays. These are great opportunities for coaches to learn and improve. The WBA are also growing their ongoing programs for VJBL level athletes to be able to get additional individual development training throughout the year. Planned programs include WBA individuals and specialised skill sessions. Programs that already exist in this space include Devils Academy, which runs each year during term 3. The Devils Academy is an intensive, short/sharp development program that aims to help athletes improve key elements of their overall individual game. The premier program of the WBA is the Werribee Devils Big V Program. 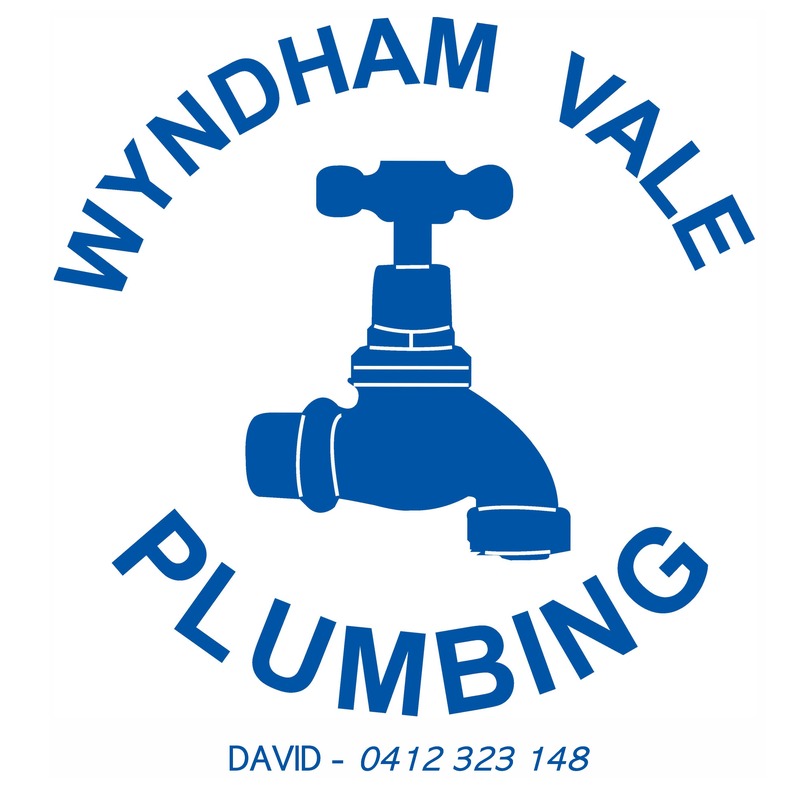 The WBA have Youth League Men, Youth League Women, Senior Men & Senior Women’s teams that compete in the Big V – a State wide senior competition. Games are held on Saturday & Sundays across Victoria. This Big V is a key piece of the coach development pathway. The Werribee Devils Senior Coaching Panels consist of a Head Coach, Assistant Coaches & a Development Coach. 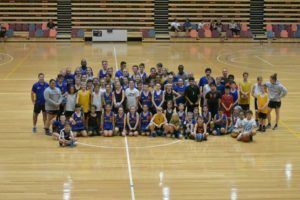 Basketball Victoria run Talent ID camps during the school holidays to begin the early identification process of potentially talented athletes. Camps involve large numbers, so coaching opportunities are generally greater at this level. This is a great way to get into the BV coaching pathway by coaching at an U/12 Talent ID camp. Basketball Victoria select players & coach to represent Victoria Metropolitan at the annual Southern Cross Challenge (SCC), held annually at the State Basketball Centre in Knox. Applications are called for via the Basketball Victoria website in the latter half of the year. In addition to the SCC, Basketball Victoria also sends teams to the annual East Coast Challenge (ECC), held in Sydney each year. The coaches appointed to these roles are usually the appointed State Team Head & Assistant Coaches. The NITP is a selective high performance & development program for athletes in U/16s & U/18s. 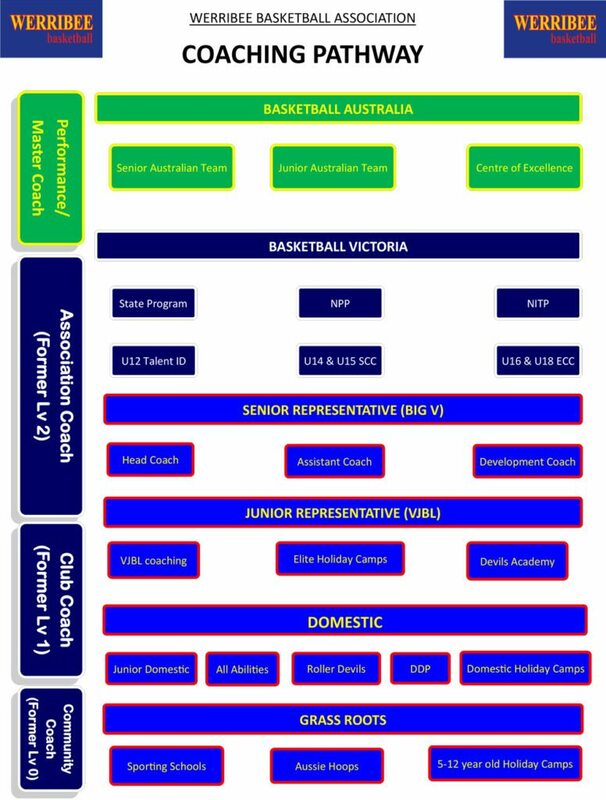 Basketball Victoria appoints Head Coaches, Assistant Coaches & Apprentice Coaches for each NITP venue. Werribee is a current NITP venue with programs operating at 6:30am on Tuesday & Thursday mornings. 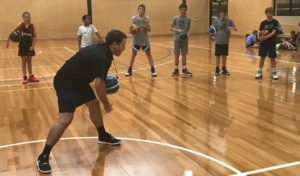 NITP coaching applications are called for each year via the Basketball Victoria website and appointments are made by the BV High Performance Coach (Metro). NPP is a highly selective elite performance program for athletes with elite potential who could possibly represent Australia at either a junior or senior national level. Coaches are appointed through their involvement with both the NITP & State team programs. Basketball Victoria select Head, Assistant & Development coaches to lead the U/16, U/18 & U/20 State Teams at National Junior Championships held annually each year. Victoria Metropolitan has a rich history of success and dominance at the Australian Junior Championships. The CoE is based at the Australian Institute of Sport in Canberra. The BA CoE employees full time Head & Assistant coaches to lead the development of Australia’s best young male & female talent. Basketball Australia appoints Head & Assistant Coaches to roles for U/17, U/19 & Emerging Boomers/Opals National Junior Teams that compete at Oceania & Asia Qualifiers as well as Junior World Championships. The summit of coaching is to lead your country. Basketball Australia employ Head Coaches, Assistant Coaches & Technical Assistants for the Australian Boomers & Opals Senior National Teams that compete at Commonwealth Games, World Cups & the Olympics.